Nachdem wir euch heute bereits einige Reviews zu Killzone Shadow Fall präsentieren konnten, geht es nun mit den ersten Reviews zu Knack weiter. Die bislang veröffentlichten Reviews sorgen für etwas Ernüchterung und beschreiben Knack größtenteils als durchschnittlichen Titel mit leider scheinbar größeren Problemen. 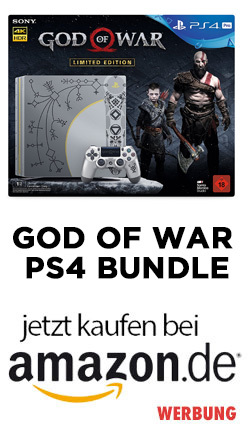 Auf Metacritic hält Knack derzeit eine durchschnittliche Bewertung von 57 von 100 möglichen Punkten. Was die Fachpresse zu Knack genau zu sagen hatte, erfährt Ihr im nachfolgenden Beitrag. It’s not the most innovative or the most visually dazzling game. This won’t be the one you put in to show off your new console to your friends. 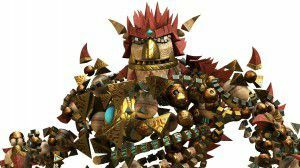 However, when you’re done with the prettied-up versions of the big franchises, you’ll find yourself wanting to return to Knack. It’s got charm and heart, and offers a whole lot of good gameplay. The end product seems like it’ll be one of the better original titles to come out of the system’s early exclusives. It hits enough checkboxes to warrant a look, but that $60 price should call for some thought before you buy in. A fun romp, and definitely worth a play. It’s easy to pick up, a joy to look at, and and some of the boss battles are pretty great. My recommendation is that you take it in smaller doses, or try out the drop-in/drop-out cooperative play, which will definitely help when the going gets tough. The moments of payoff come too infrequently to make plodding through another three dozen frustrating enemies any less tedious. Playing Knack is like watching a dull movie on a plane – it’s tolerable if all you want is a way to pass the time, but it’s not something you’d seek out for its own sake. I finished in about 11 hours and, challenges, co-op, and secrets aside, there’s just not much here worth recommending. With the way it looks and how simple it is, it’s easy to think Knack is a game for kids. And while that may be the intent, it doesn’t make Knack any less dull. Whether you’re five or 25, Knack is boring throughout its 10-hour duration. Knack’s downfall is that it focuses entirely on combat, but doesn’t offer enough variety or depth within its system to compel you onward. I’m all in favour of games that transport us back to the good old days of vibrant originality, but Knack simply doesn’t. Knack fails to capitalize on its own ideas and structure, and is successful only in acting as a reminder of the shallow, punishing platformers of a time when we really cared about how many bits there were on your console.